Despite significant legal hurdles, the ridesharing company’s drivers are fighting for fair working conditions. When workers rallied in cities nationwide for last month’s Fight for 15 National Day of Action, the street marches were joined for the first time by a protest on wheels, as Uber drivers ramped up their campaign for full-fledged labor rights. The call for a $15 hourly minimum wage and a union seems a distant prospect for app-based contract drivers who are generally neither considered employees nor waged workers. But Uber drivers are taking to the courts and the streets to turn the taxi industry’s disruption into a new legal avenue for labor justice. Although efforts to challenge Uber’s non-employer status through federal litigation have stalled so far, a ruling issued in October by the New York State Department of Labor could set a major precedent, by designating the drivers eligible for unemployment benefits, establishing their status as workers, not contractors. In recent months, California rideshare drivers have also scored victories with key decisions by the Labor Commission that validated the jobless benefits claims of at least two Uber drivers. But Uber has managed so far to stave off other legal battles with wider implications for the entire Uber workforce, including massive lawsuits challenging the classification of about 385,000 drivers in Massachusetts and California as independent contractors. The partial settlement for that suit is still being litigated in federal court, and drivers continue to be denied full employee status and have been in many cases blocked from bringing class-action lawsuits by a mandatory arbitration policy. As a concession, Uber, which claims that its drivers prefer non-employee status because it gives them more “flexibility” on the job, has offered drivers a quasi-union consultative body and some reforms to its disciplinary protocol. Labor advocates decry these measures as half-baked corporate diplomacy. Now contract drivers, including Uber, Lyft, and many cabbies who are also considered “self-employed” under labor law, are pursuing localized strategies to resist Uber’s attempts to circumvent labor laws, including grassroots organizing to push for collective-bargaining rights and other labor protections. Seattle officials are now establishing a modified collective-bargaining system for rideshare drivers under a complex regulatory arrangement that accommodates independent contractors. In New York, Uber has established driver “guild” structures as a collaboration between management and the International Association of Machinists and Aerospace Workers. These forums offer drivers some representation related to working conditions, but fall far short of actual unionization. A parallel organizing effort with the Teamsters is emerging among Uber drivers in San Francisco. But more radical labor groups still want to revamp the rideshare rules of the road. In October, several Uber drivers, along with the New York Taxi Workers Alliance (NYTWA) relaunched a lawsuit charging Uber with misclassification of drivers as contractors rather than employees. 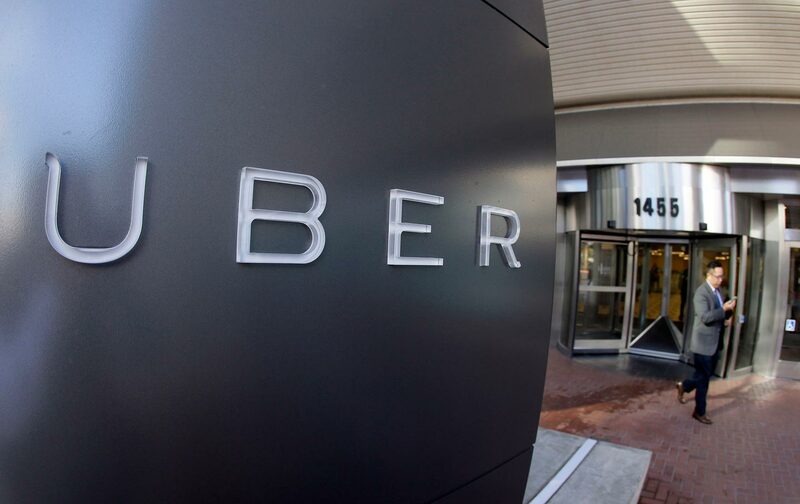 The suit is an offshoot of a larger attempted class-action suit that was split due to Uber’s forced arbitration policy, which directs many workers to settle disputes through a corporate mediation process. The lawsuit charges that Uber completely controls drivers’ working conditions and schedules, leaving “no opportunity to receive profits directly from Uber’s business.” Instead, Uber’s “partnership” is like working in a store but having no control over your work hours and no set wage, and getting the cost of the storefront’s monthly rent deducted from your paycheck. New York Uber driver Inder Parmar says that after Uber slashed its user fees in 2014 and 2016 to expand the company’s market share as it competes with the city’s formidable yellow-cab fleet, his income has dropped sharply, and after his car expenses are paid, he’s earning less than minimum wage, despite working 10 to 12 hour days, seven days a week. Still, collective power is spreading around the globe almost as fast as Uber’s brand. Last week, Uber was indicted in Denmark for tax violations, charged with helping local drivers dodge tax laws. And a recent United Kingdom court ruling established that Uber employees must be counted as workers under national labor law. Rideshare industry expansion has also been obstructed by regulatory scrutiny in cities from Beijing to Buffalo, alongside protests from local taxi drivers bridling against competition by underregulated app-based rivals. But maybe, just as Uber can disrupt the transport marketplace, enterprising drivers can organize to steer a collective course toward fair labor rights.